If you tend to work with network settings quite a bit, you may want to permanently add the network options to your Windows 7 Start menu. The network options include Connect To (to view or change network connections), Network (to see all the devices on your LAN), and HomeGroup (to see all the devices on your homegroup). If you frequently change networks, you’ll be glad to know that by adding these options to the Start menu is quite simple. Right-click the Windows taskbar and choose Properties. The Taskbar and Start Menu Properties dialog box opens. Click the Customize button on the Start tab. 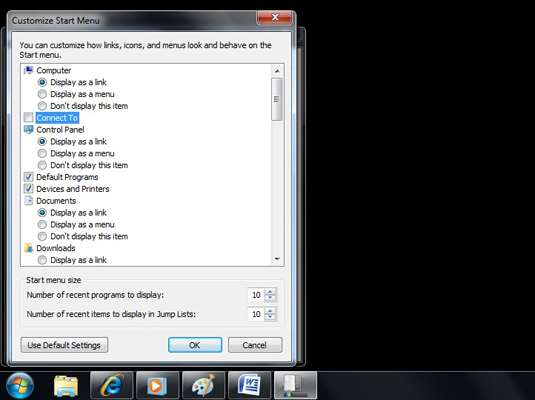 A dialog box opens showing all the different ways you can customize the Start menu. Select the check boxes for the network options you want to add to the Start menu. The options are Connect To, Network, or Homegroup. Click OK twice to close the all the dialog boxes. 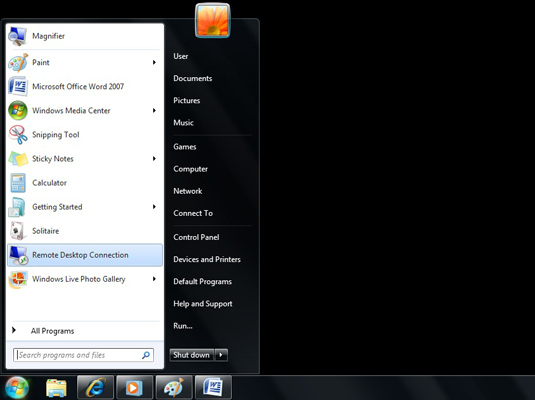 Your network options should appear on the Start Menu.